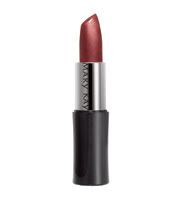 You are entering to win one MK Signature Lipstick from my inventory. I will email the winner a list of what I have in stock as well as a short color description. You can choose from the description or look at the exact shade on my website. I currently have 5 different lipstick shades in stock from a variety of color families so there should be something everyone would love! Visit my Mary Kay website (I am an Independent Beauty Consultant with Mary Kay): www.marykay.com/michelle.brown go to the What's New tab, under Best Sellers and let me know what product you would love to try. Please leave a comment with your email address and the product name. This must be done before any other entries. Don't worry I won't spam you I just need your email to notify you if you are the winner. 1. Purchase something from my Mary Kay website and I will give you 5 extra entries. Please leave a separate comment. 2. Follow my blog. Current followers also get another entry. Please leave a separate comment. 3. Blog about my giveaway and link to my blog. Please leave a separate comment. 4. Tweet about this giveaway with a link to my blog on Twitter (brennbug), post a status update or bulletin board posting about this giveaway with a link to my blog on Myspace (http://www.myspace.com.brennbug/) , or post on Facebook about this giveaway and link to my blog (find me on Facebook via my email comichelle [at] hotmail [dot] com) and leave a separate comment. You can obtain up to 10 separate entries! 1. The giveaway ends at midnight EST on Saturday, July 18, 2009. 3. I will email the winner who will have 48 hours to contact me to claim their prize. If the first winner does not contact me within 48 hours I will draw another winner. 5. I will only ship to the U.S.
Count me in! And of course I'm a follower! And I posted a photo and link on my sidebar. You know me I am pretty no-fuss but I love the Oil-Free Eye Makeup Remover, if I had to pick something I haven't tried though I think I would go with the mascara. Thanks Love! Cool. i wanna try the Oil-Free Eye Makeup Remover, $14.00! Congrats on the 100th post! I am all about the ultimate mascara~ i never buy super good mascara, but always want to! Ok, so you already have one for me as a follower, but here's my second entry, letting you know that I'm very intrigued by your Satin Hands product on your Web site. I've heard wonders! And here's my third entry, letting you know I posted your giveaway on my blog on my sidebar!